Sometimes when a company sent out a package, and the customers will say that they have not received it. 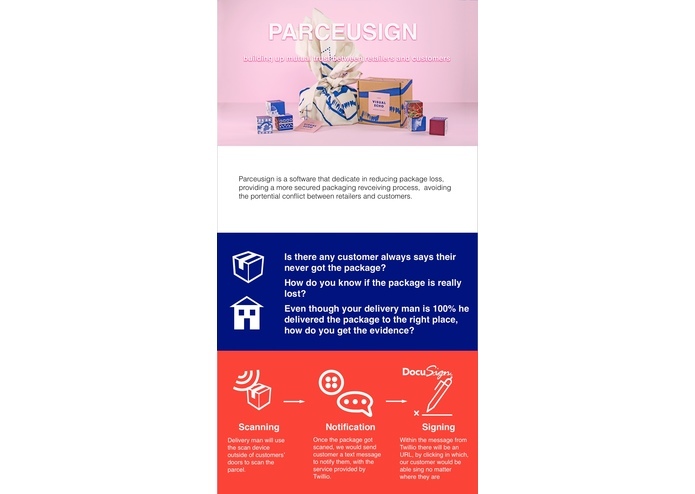 ParceSign is an eSign for parcels that will add trust into this process, so that the companies, especially the startups of smaller scales, will be able to demonstrate that they have fulfilled their responsibilities. 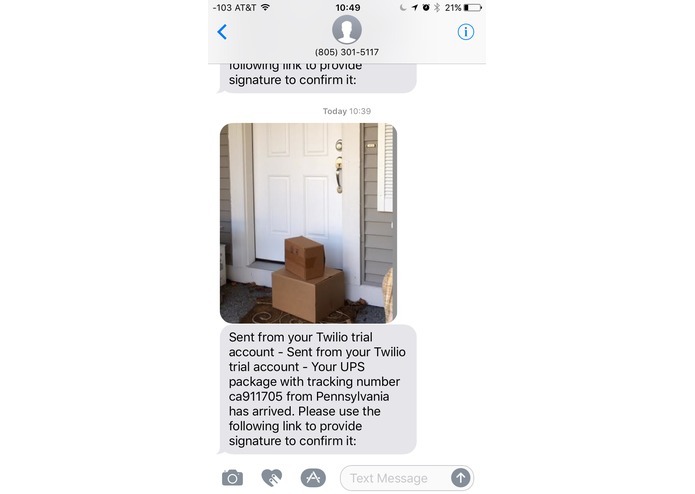 When a package arrives, the delivery person will scan it with a small device in front of the door. The small device will send a notification to the house owner along with the details info of the parcel and a picture of it in front of the door. The house owner can either stay on an "auto-sign" mode that will automatically receive every package. Or they can choose to manually sign each package upon arrival of notification. A further application of this is that one can have another person (say, guards or leasing office) to receive the package for them, but they need to sign and acknowledge that they are aware of this process. 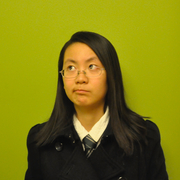 WiFi here is not very supportive sometimes. Everything was going great with Qualcomm Dragonboard and we were down to using it, but sudo apt-get update just simply cannot be completed due to WiFi, and after we disconnected it from the computer once, the WiFi cannot be reconnected anymore. This endangered the majority of our plan. Since we couldn't dragonboard anymore, we couldn't use AWS IoT service either, and we wouldn't have enough time to build website frontend for the oroduct either. Originally we planned to use barcode sensor in this project, but this sensor was not present, so we eventually decided to use NFC/RFID Tag to still be able to demonstrate our idea. 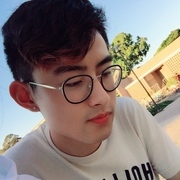 This is the first time most of our group has any experience with software engineering, and this is the first time we were trying to use Twilio/DocuSign API or any kind of API, or trying to work with Qualcomm Dragonboard, or AWS IoT Hub. Though a lot of things didn't work out smoothly, we are well proud of what we learned and built. Get the device to connect with AWS IoT Hub and implement different modes for users (auto-sign, manual sign, and allow others to sign). I worked on the message sending with Twilio and Ruff IoT development kit. I delved into Qualcomm Dragonboard and how it can work with AWS IoT Hub.